A monthly Welsh language religious periodical serving the Congregationalists of south Wales, although it became more secular later. The periodical was edited by David Owen (Brutus, 1795-1866) but it was a disagreement related to the direction the periodical took under his editorship, with the periodical becoming increasingly political, which led to its demise. 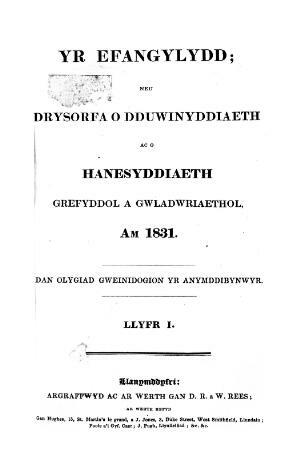 Associated titles: Yr Oes (1826); Lleuad yr Oes (1827-1830).